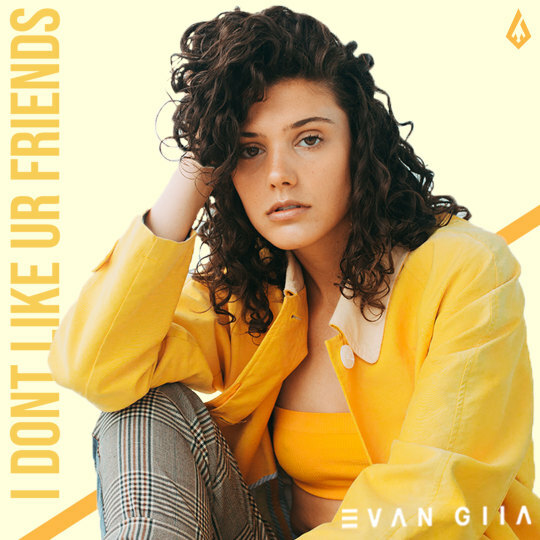 EVAN GIIA directed a music video for her single “I Don’t Like Your Friends,” and it’s both fierce and ruthlessly honest. The Berklee alum has made some major strides in the past few years. Her single “Brave” hit number one on Hype Machine and she was featured on Spotify’s Left of Center and Pop Edge playlists, not to mention becoming a member of ODESZA’s Foreign Family Collective. With the release of the “I DON’T LIKE UR FRIENDS” video, she is also establishing herself as a writer, director, producer and overall boss. The video for “I DON’T LIKE UR FRIENDS” is expertly shot, turning a mundane warehouse space into a beautifully powerful visual. It features GIIA, surrounded by an army-like group of friends, all of whom are completely emotionless, clad in green androgynous jumpsuits. GIIA dances around the warehouse, frustratedly pulling on her “friends” and trying to get their attention. Meanwhile, the frozen greenies are blankly participating in GIIA’s pet peeves, which include popping bubble gum and being glued to their phones. The video is a delightful combination of lightheartedness, intensity, shock, honesty and is just plain different.